Perfect for those looking for the basics to start (or rebrand) their business. Includes everything you need to get going without breaking the bank. All the tools you need to launch (or relaunch) your brand. You get everything from Level 1, but with more assets for your online presence as well as the font files to carry over into other parts of your business. No fancy new brand is complete without a web makeover. Together we'll create a website that ties your brand and message together. 30 minute conference call, video chat, or meet and greet for a final walk through (and basic backend training) of your site. Monthly web maintenance: If you're interested in outsourcing your website maintenance: content like blog posts and social media are available for a small monthly fee. 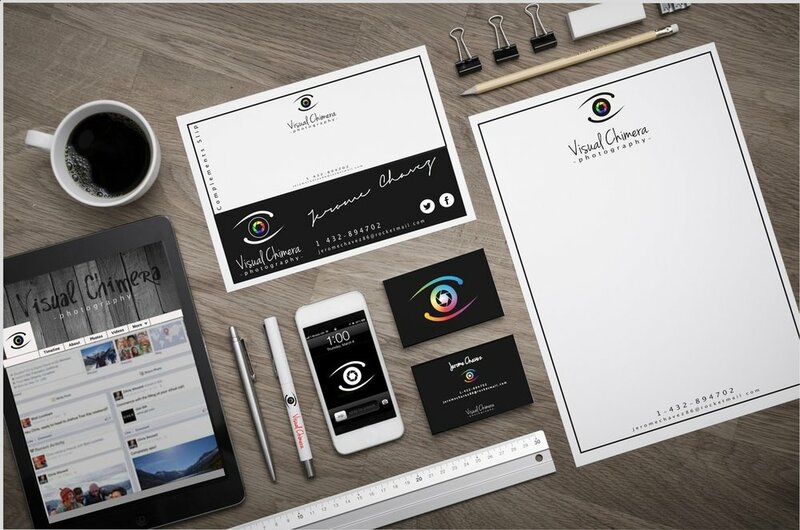 Perfect for those who have enough marketing materials needed on a monthly basis, but don't want to hire a full time designer. Discounts - You get a discounted rate compared to normal fees. The more hours you commit, the lower the hourly rate. No Overhead - you get the access to a professional designer without the overhead associated of an employee. A retainer is simply a monthly fee. It's perfect for those who know that they will need design services throughout the year and want to reserve a creative professional's time. Since its purpose is to retain the designer, it is paid up front each month before work is ordered. Essentially, you are "pre-ordering" time versus a service. Since we will anticipate a preset number of hours of work from you, we will block out our schedule with the appropriate time each month. This gives us the ability to plan our workload accordingly, which gives you the certainty of a pre-established amount of work each month without having to worry about what else is "in the queue" ahead of you. It's more efficient for all involved. 20% discount - you save $300! 27% discount - you save $600! 3 month minimum commitment. At the end of 3 months, we will reevaluate the program you have chosen to ensure the number of hours is fitting your business needs. After that, we can move to 6, 9, or 12 month commitments. Each retainer includes a set number of hours each month. Overage in time will be billed at the standard hourly rate of $75 per hour. What type of services can be used in the retainer programs? Graphic Design - logos for new products/services, icons, and typography treatments. Print Materials - sell sheets, direct mailers, brochures, newsletters, etc. Digital Materials - social media graphics/content, blog banners, and other web designs. Web Updates & Maintenance - content, graphics and web maintenance can be provided for select customers. Currently only available for Wordpress, Squarespace, and Shopify sites. This does not include copy, just updates to posts or new posts. Services do not include additional costs like stock photography & printing. 1. Fill out the form below. We'll set up a 30-minute consultation to hear more about your project(s) and get to know each other. We want to learn all about your business and goals. We’ll review your business needs and upcoming projects. 2. First payment. Once the paperwork is completed and the first retainer fee is paid, we will discuss your general needs for the month and create a delivery schedule and timeline. We understand that work and projects or fluid, so this is just a roadmap to work from. Prior to the 2nd month, we will have call/meeting to review the next month's priorities. Payment for the month ahead will be due on the 1st of each month. Design includes front and back design of a standard size business card. Does not include printing costs. Printing and specialty design rates can be quoted separately. Includes 1 revision. Designs start at $250 but can vary depending on scope of project. Includes front and back design of standard bifold or trifold brochure. Does not include printing costs. Printing can be quoted separately based on project scope. Includes 1 revision. Designs start at $150 but can vary depending on scope of project. Includes front and back flyer design of any size. Does not include printing costs. Printing can be quoted separately based on project scope. Includes 1 revision. Great for businesses, musicians, venues, charities, events, and direct mailers. Social banners, blog designs, etc. Social media posts can also be included on a per project basis or for a reoccurring fee. Includes one revision. Designs start at $200 but can vary depending on scope of project. Includes front and back design of standard or bifold card. Does not include printing or envelope costs. Printing and envelopes can be quoted separately based on project scope. Includes 1 revision. Suites start at $800 but can vary depending on scope of project. Includes save the date cards, invitations, RSVP cards, and thank you cards. Direction cards, table cards, programs, swag, etc. are all negotiable. Does not include printing or envelope costs. Printing and envelopes can be quoted separately based on project scope. Includes 2 revisions. Thanks for reaching out! We're psyched to work together and create some awesomeness. Someone from our studio will be in touch with you shortly.